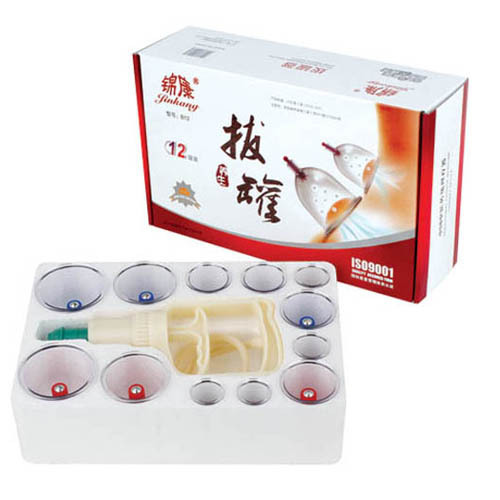 1.The cupping therapy integrated with cupping therapy,magnetic therapy,according to traditional Chinese medicine therapy of Yin-Yang and main and collateral channels,based on the dialectic diagnosis of four diagnostic methods and eight guiding principle. 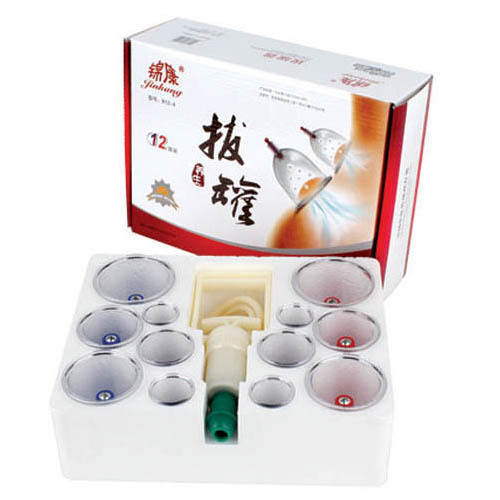 3.Adjusting the energy and blood,promoting blood circulation and dissipating blood stasis. 4.Reducing swelling and easing pain,eliminating the cold and removing dampness,eliminating toxicant and evacuating pus so as to enhance the human immunity and keep fit. 5.It cures the disease without taking medicine and the user can get rid of the side effect. *Insert the top opening of a cup to the rubber opening of the vacuum pump. 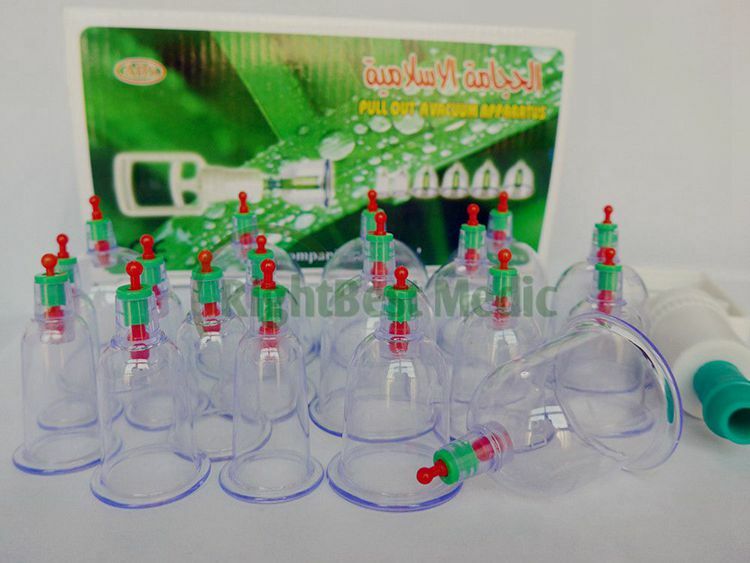 *Place the cup on the skin and pump 2 to 3 times to create vacuum. 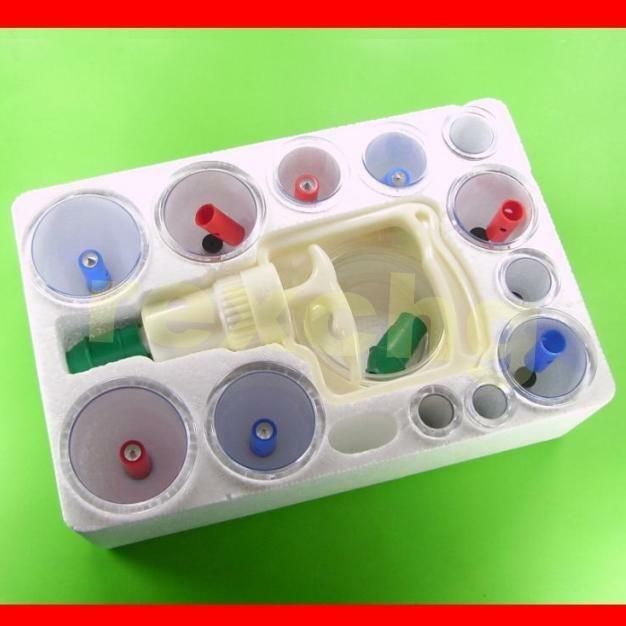 *After pumping remove the vacuum pump from the cup. 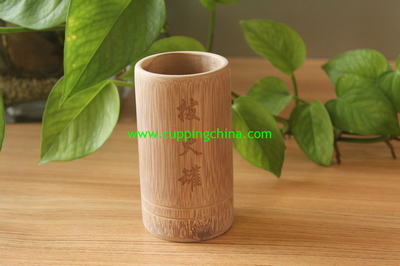 *To remove the cup from the skin, lift the top lid to let the air in. 1. Please choose suitable health parts, which has Abdominal muscles, smooth skin and has no fur. But if you really want to do on rough parts with fur, had better put the good doughnuts mat under the openning of it in case air leakage. Besides, if the skin is dry, first make the skin wet and then cupping. 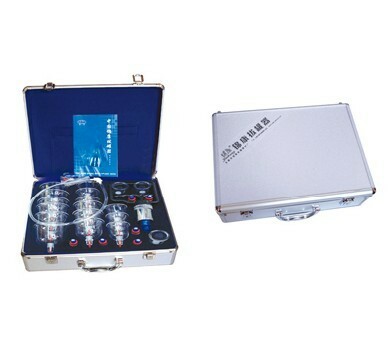 Integrated with both modern technology and traditional medicine, it is a new health care product. 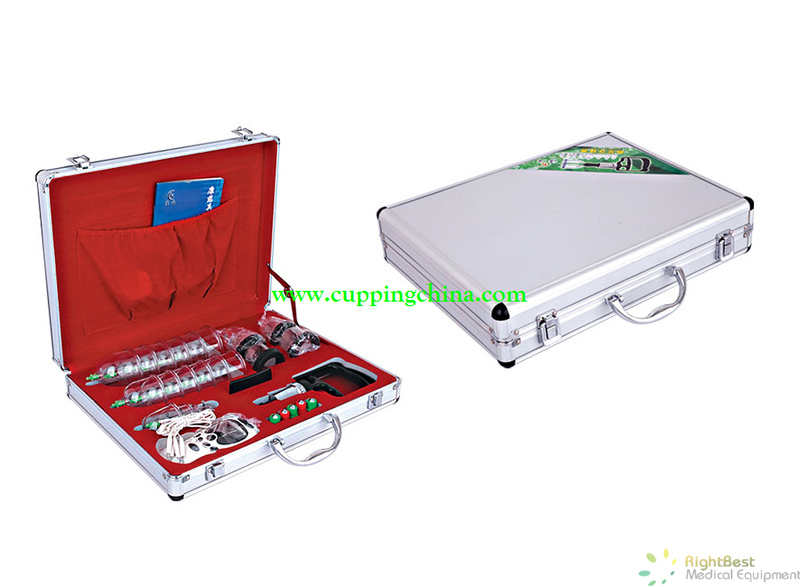 The cupping set with low price and good quality , and easy to operate. Pure physical therapy, safe and fast.